Franz Krommer's life spanned a time of great change in the world of music. He was born in the year that Handel died, and he lived to the year when Chopin reached the age of 21. He came from Kamenice, in the Czech republic, and was christened Frantisek Kramár. As a youth he studied violin and organ with his uncle, Antonín Mattias Kramár, and for a while was the organist at Turan. In 1785 he moved to Vienna where he took up a post initially as a violinist in the orchestra of the Duke of Styria, and adopted the German version of his name. He then rose through a series of increasingly prestigious appointments to become the court composer for the Emperor of Austria. His music was very well received during his lifetime, though reputedly Beethoven did not hold it in high regard. He was a prolific composer, publishing over three hundred works including seventy string quartets and many concertos for both violin and wind instruments. His works are always well crafted and filled with appealing melodies and dramatic contrasts. The oboe concerto in F major, Op. 52 is the second of his two oboe concertos. It is a work that is clearly influenced by Mozart and Haydn, though it is not without its own original ideas. The first movement is in the "galant" style which evolved in the classical period forming a strong contrast to baroque music. The musical language is urbane, lively and dynamic, and uses simple textures avoiding complex contrapuntal writing. The first movement is in sonata form with the main musical ideas presented first by the orchestra, and then repeated in an elaborated version as a dialogue between soloist and orchestra. The development section that follows is long, compared to the pithy incisive developments of Mozart and Haydn, and does not have a clearly marked point of recapitulation. Overall the movement has a freer form than many classical works anticipating the romantic composers in a small degree. The second movement is perhaps the most original of the three. It is made up of a set of contrasting episodes or variants on a simple melody. It begins with a dramatic orchestral introduction in C minor. The oboe then joins in with a fragmentary tune in long notes. As each episode unfolds the solo part becomes more decorated. The movement ends re-assuringly in the key of C major. The final movement is a spirited rondo in compound time, which features dialogue between the soloist and the orchestra, and dramatic contrasts of keys. 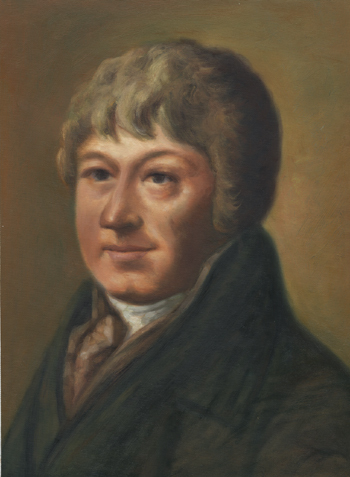 In his lifetime Krommer was as highly regarded as Haydn and Beethoven, particularly in his string quartet output. Later generations have been less generous towards him, regarding his work as rather less inventive than his more famous contemporaries. Never the less his compositions are original and appealing and for that reason are still regularly performed and recorded today. Krommer's Oboe Concerto No 2 in F major was performed on the 27th March 2010 by Kostis Hassiotis, accompanied by the Portobello orchestra conducted by Anthony Weeden.